Education Minister Dr Dipu Moni on Thursday stressed the need for ending commercialisation of education around the country. She said imparting knowledge was a noble profession, but now it is in jeopardy for a section of teachers’ greed for money. “We want to keep education away from commercialisation, as it hampers quality of education,” she said. 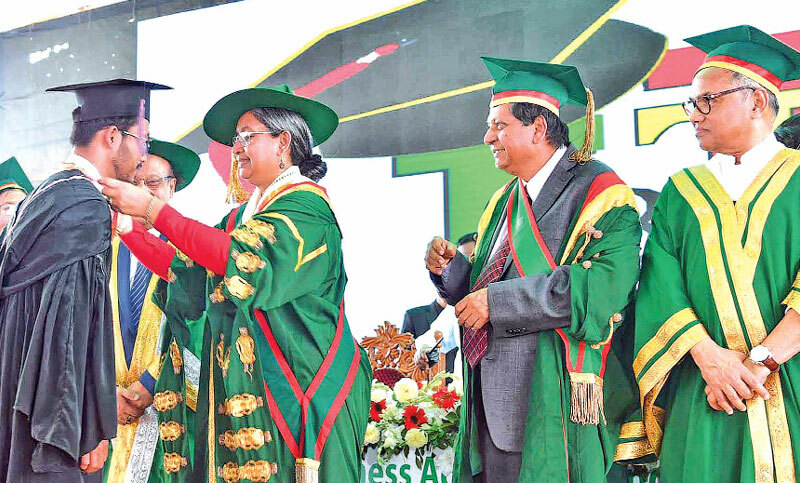 Dipu Moni came up with the remarks while addressing the fifth convocation of International University of Business Agriculture and Technology (IUBAT) held at the playground of Sector-14 of Uttara in the capital. IUBAT Vice Chancellor Prof Dr Abdur Rab presided over the programme while former Dhaka University VC Prof Abdul Kalam Azad was the convocation speaker and Kaler Kantho Editor Imdadul Haq Milan spoke as the special guest.